1. There’s been no mention of recommendations to support your goals. Has your advisor asked you recently about your life goals, your values, your health or your family? When you anticipate needing money for retirement, college, or a career move? Your circumstances may change over time, and your financial strategies need to be updated to reflect your changing needs. Even before your advisor gives you specific recommendations, they should be able to tell you a general direction based on their understanding of your unique situation — or at least a range of possible approaches to consider in your financial plan. 2. You’re hearing about only one possible option. How is your financial advisor compensated? 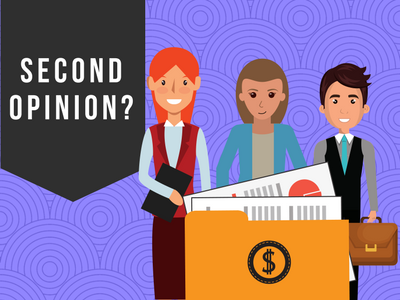 If you’re hearing about only one possible option, it raises questions about whether the advice you receive is based solely on your best interest, is it driven by commissions, or is there no way for you to tell? You want your advisor to present multiple alternatives to you, along with their pros and cons. They should be able to explain the actions, products or investments they are recommending in detail, as well as the rationale for why it is right for you. Whether or not your advisor is a Investment Advisor Representative held to the fiduciary standard, you want to understand your advisor’s compensation structure for each recommended option. 3. You are not hearing back in a timely manner. Your money and your financial independence are important to you. A week is too long when markets are in turmoil and you are feeling insecure. If your financial advisor takes too long to get back to you, it’s time to look elsewhere. 4. You just don’t trust your advisor. But if you still feel uncomfortable, remind yourself that financial decisions are too important to succumb to procrastination when you are uneasy about your advisor. If you don’t think they are listening to you or taking you seriously, or if you have any doubts about their motivations or conflicts of interest, find a different advisor. After all, it’s your money and your future. It never hurts to get a second opinion.